Covered with pre-shrunk water repellent cravenette. Velcro fasteners on sides to adjust fit. Also ideal for blocking backs. Can be used as an INJURY PAD. 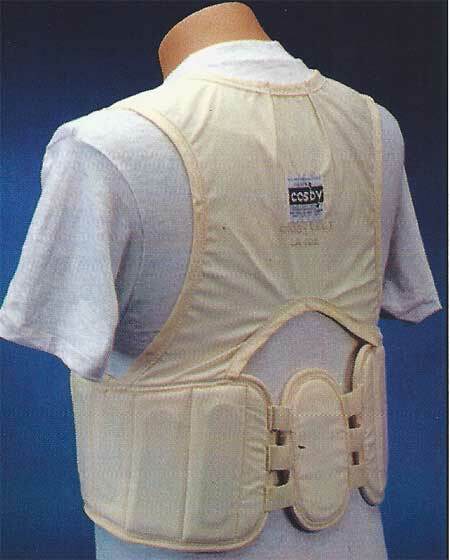 This vest does not restrict players in any way. MCQB: Padded with Miracle Cushion Rubber. Available regular, large or extra large. GCQB: Padded with White Belgian Rubber. Available regular, large or extra large.